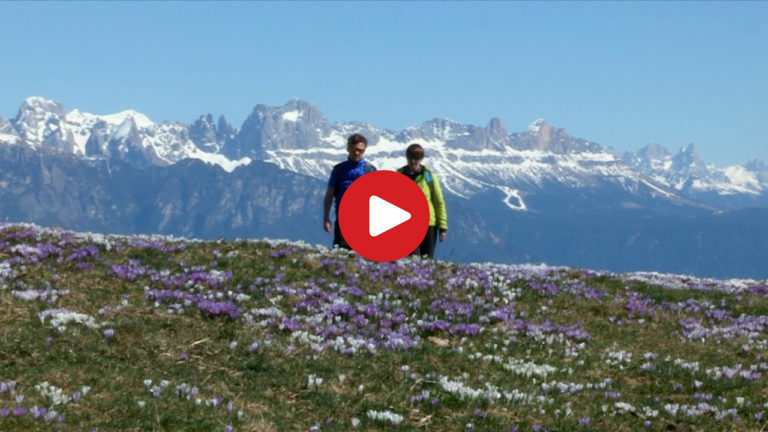 The crocus blossom at the Monzoccolo mountain below the “Stoanernen Mandln” is one of the highlights of South Tyrol’s alpine world in spring! We take you along on a mystic hike. Starting at Meltina, above Bolzano, the path leads us across blooming meadows to the legendary Rocky Men where we enjoy natural quiet and a fascinating view on the Dolomites.